Stiliyan Petrov is backing Brendan Rodgers to guide Celtic to their first treble since season 2001, when the Bulgarian helped them to a clean sweep. "They have won one cup, they are comfortable in the league and they have one more thing to do - win another cup," he told BBC Scotland. "It is going to be difficult, everybody is going to be after them, but I think the boys are ready." Petrov left Celtic in 2006 after seven years to move to Aston Villa. Now 37, he has fought back from being diagnosed with leukaemia in 2012 and trained with Villa last summer but was not offered a playing contract. Speaking at an event to promote the William Hill Scottish Cup, Petrov praised Rodgers for restoring excitement to Celtic Park and believes the current squad have the hunger to win the treble for only the fourth time in the club's history. "They are going impressively, they are playing very well," said the former Bulgaria captain, now working towards his coaching badges and working on his charitable foundation. "They have the fans back. The excitement is back after the last couple of years and they have a great opportunity to do the treble. "It takes good characters, team spirit and Celtic have all the ingredients this season to do it. "They are playing with flair, they are winning games, they have one cup and they have one more hurdle to jump and they are motivated to do it because they will be in the history of Scottish football for years to come." 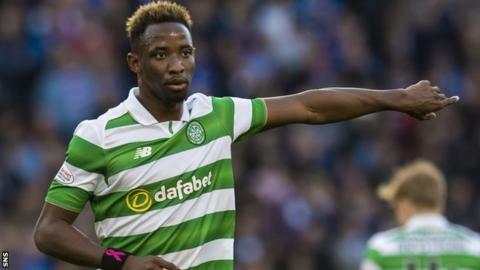 Petrov hopes that Celtic can retain the services of Moussa Dembele, who has caught the eye in his first season in Scottish football and is reportedly attracting interest from other clubs. The French striker scored a penalty as Celtic beat Aberdeen 3-0 to win the Betfred Cup earlier in the season and the 20-year-old has helped place his team in a commanding position in the Scottish Premiership and has starred in the Champions League. "I would stay at least for another year," said Petrov of Dembele. "I'd have a go for another time with Celtic in Europe. "As a Celtic fan, I would love him to stay because you always want the best to play for the club you love. "But in today's crazy market we know anything is possible, so Celtic should hold out for as much as they can. He is a talent, he is young and he can be one of the best. "He has shown he is something special. He is developing very well. "He is somebody who can make the difference - it's not just the goals, it's the hard work around the pitch, the link-up play with other players. "The only way for a good manager to have success in big tournaments like the Champions League is to have your best players. With him, it will be easier."